And then there were four. The Houston Astros versus the Boston Red Sox and the Los Angeles Dodgers versus the Milwaukee Brewers. There are now four teams remaining in the pennant race for the 2018 World Series championship. The defending World Series champion Astros (103-59) will head to Fenway Park to face the Red Sox (108-54) for the National League Championship, while the Dodgers (92-71) will head to Miller Park to take on the Brewers (96-67). 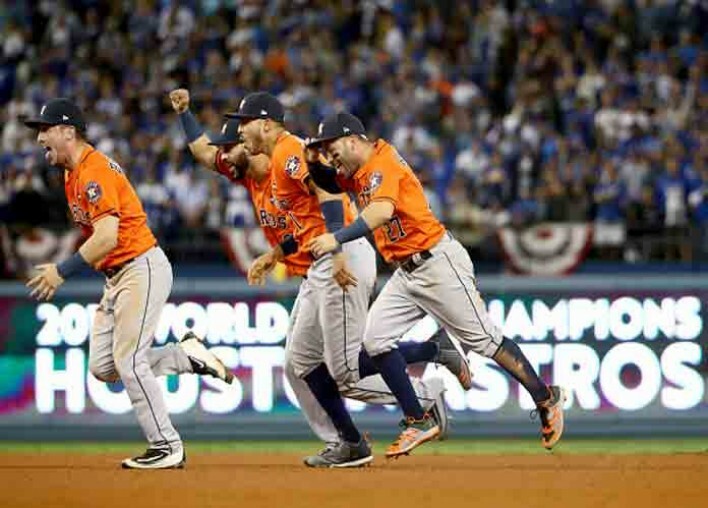 A year after winning their first World Series title in franchise history, there is every reason to believe the Astros can do it again. 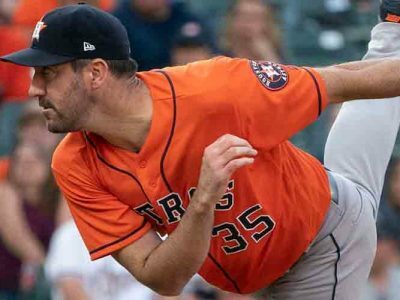 Houston has won 103 games this year and their pitching staff is one of the best in baseball with Justin Verlander and Gerrit Cole looking like aces this season and Dallas Kuechel and Charlie Morton more than capable of producing a shutdown performance. The Red Sox have won 108 games this year, setting a franchise record, and will have home-field advantage throughout the playoffs. Despite their regular season victories, this is no time for Boston to relax, as most of their players are relatively inexperienced when it comes to playoff success. This will be the first championship series matchup of 100-win teams since 1977, when the Yankees beat the Kansas City Royals in the ALCS and the Los Angeles Dodgers beat the Philadelphia Phillies in the NLCS. The Red Sox have the best offense in baseball, averaging 5.4 runs per game, while the Astros are the kings of run prevention, allowing just 3.3 runs per game during the regular season. Houston had the best run differential in the majors, outscoring opponents by 263 runs, while the Red Sox were second at +229 runs. The Astros played the Red Sox seven times during the regular season, with Houston winning four of those contests. The National League Championship Series is set between a Dodgers and Brewers team who have never met in the postseason before. This year the Dodgers won four of their seven regular-season meetings with the Brewers, including two of three in Milwaukee. This is the epitome of a David vs. Goliath matchup between a Milwaukee team with the smallest market in baseball (a payroll just over $100 million) versus a Los Angeles team that boasts the largest market in the country with a payroll of $194 million. The Brewers have gotten hot at the right time and are riding an 11-game winning streak, while the Dodgers have won seven of their last eight. Milwaukee will have home-field advantage for this series after finishing with the best record in the National League, and that could prove to be the difference-maker. Presumably, pitcher Jhoulys Chacin will start Game 1 of the NLCS for the Brewers. He made an MLB-best 35 starts this season, but has averaged just 5.5 innings per start. In fact, the Brewers starting staff, on the whole, averaged just 5.2 innings per start this season. They pitched to a 3.92 ERA and 4.32 FIP. They were also 19th in MLB in K-BB% (11.6) and were near the bottom of the league in groundball percentage (40.7 percent). The Brewers have a weak pitching rotation and If the Dodgers are going to have success against them in the NLCS, they’re going to have to jump on the starting pitchers early. The Brewers real strength comes from their elite bullpen with guys like Josh Hader, Corey Knebel, Jeremy Jeffress, Joakim Soria, and potential NL MVP Christian Yelich averaging 3.47 ERA (5th-best), 3.57 FIP (4th-best), 18.1 K-BB% (4th-best) and a 46.8 GB% (3rd-best) for the team. The Dodgers are heading to their third consecutive National League Championship Series with a power-packed lineup. Guys like Walker Buehler and Clayton Kershaw can strike fear into hitters more than Chacin or a Wade Miley. The Dodgers started their NLDS with two shutouts and posted a 2.06 ERA for the series. It certainly helps to have a player of Manny Machado‘s caliber to boost their already potent lineup. The Dodgers hit a franchise-record 235 homers during the regular season and added eight more in the NLDS.